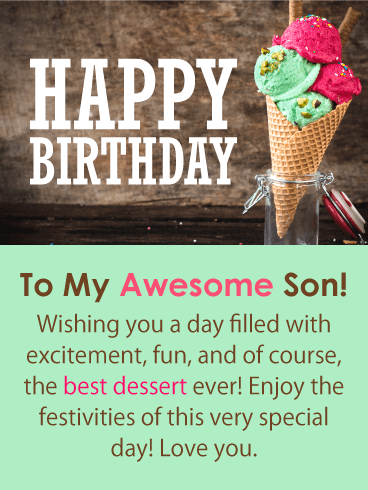 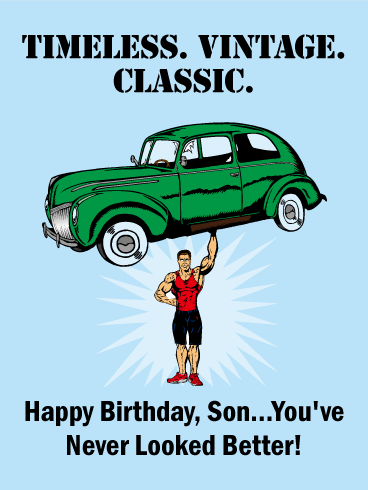 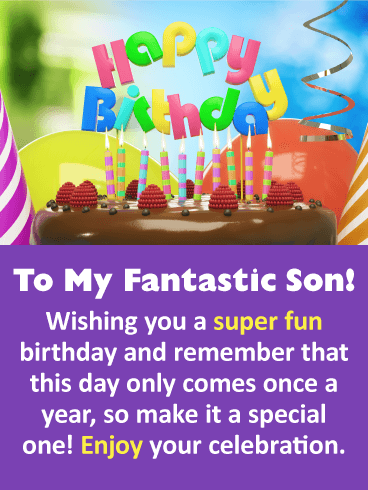 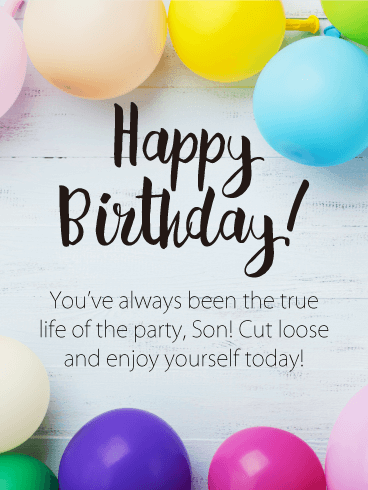 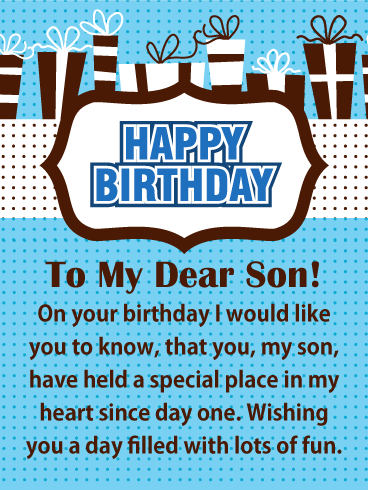 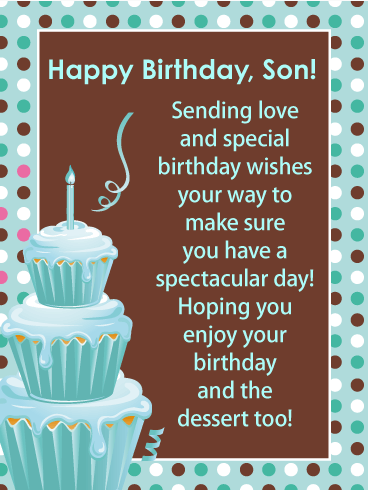 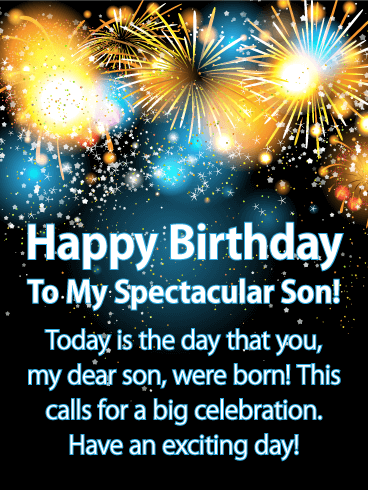 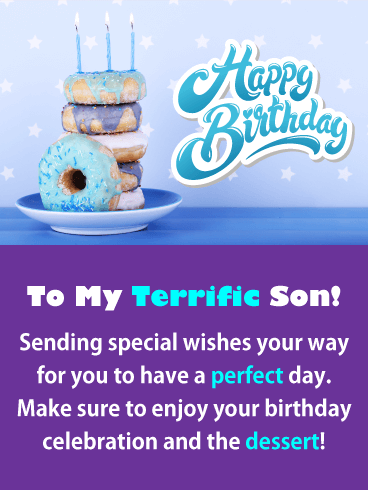 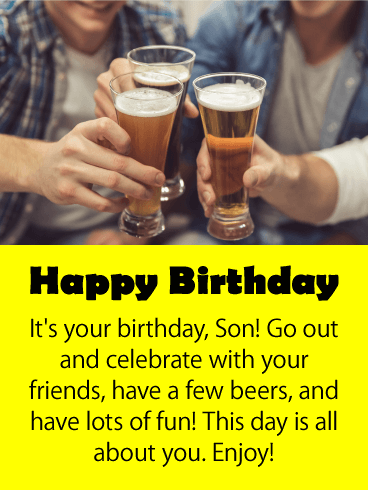 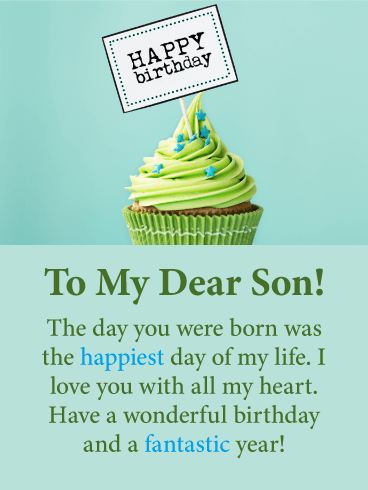 HAPPY BIRTHDAY - With every birthday you have, I am reminded of how lucky I am to have a wonderful son like you. 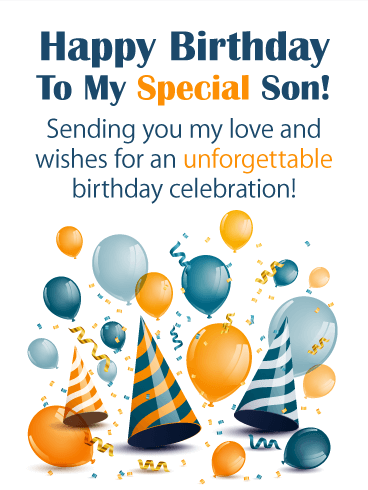 You really are so special to me. 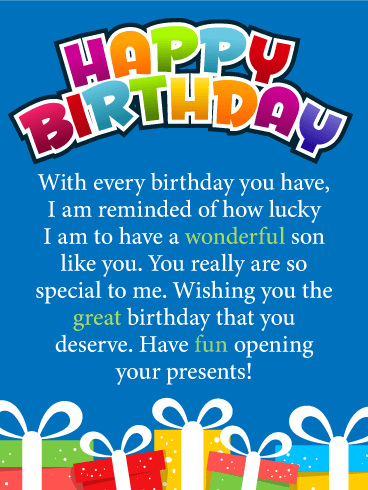 Wishing you the great birthday that you deserve. 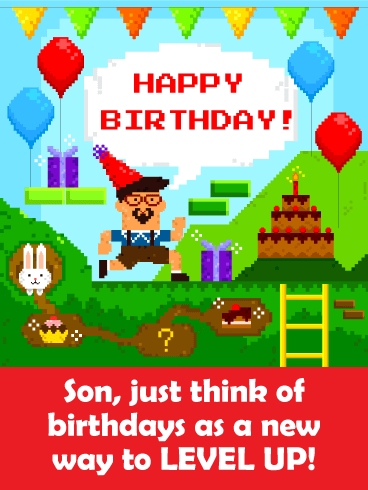 Have fun opening your presents!